Harlingen High School senior Sadat Gutierrez wanted to place within the top three masonry competitors at the SkillsUSA state competition held in Corpus Christi this month. When they called out the second place winner, a defending state champion, Gutierrez knew she had met her goal. 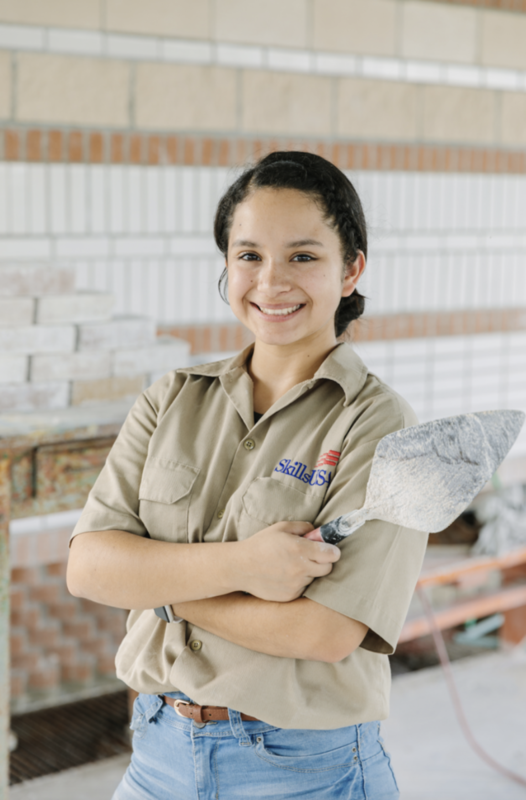 Gutierrez – the 2019 masonry state champion – then bolted for the stage to seize her gold medal. Masonry, an elective taught by Harlingen High School teacher Victor Santillan, consists of laying brick and block to resemble residential construction. Gutierrez took up the elective her sophomore year on a whim, not knowing how much she would grow to appreciate performing the workmanship. 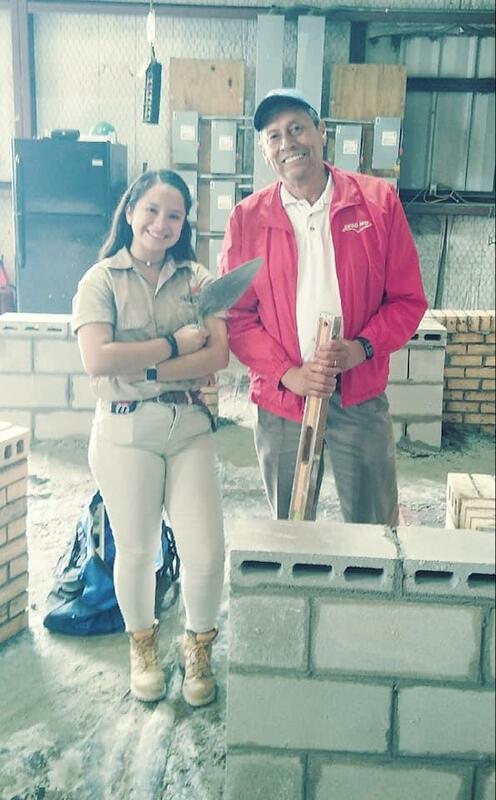 The senior student then developed a passion for masonry in Mr. Santillan’s class where she competed alongside friends. Her junior year, Gutierrez advanced to the state competition. She showed resilience her senior year and will be advancing to the national competition held this summer in Louisville, Kentucky. “Mr. Santillan would tell me stories about nationals, so I wanted to go to nationals one day,” Gutierrez said. Gutierrez will represent Texas at the SkillsUSA national competition in June. The veteran teacher, who worked in construction as a mason as a teenager, beamed with pride as he spoke about all his students and their abilities. With Gutierrez’s state championship win, Santillan has now taught 15 masonry state champions, two of whom are girls. “I’m leaving like a little pathway so girls can say, ‘I can do it too,’” Gutierrez said. The class, which is part of Harlingen CISD’s career and technical education program, turned out to be Gutierrez’s passion. She now wants to follow in Mr. Santillan’s footsteps and teach high school masonry. “I originally wanted to be a teacher for history, but because I really love what I’m doing in this class, I want to become a masonry teacher,” Gutierrez said. Texas State Technical College awarded Gutierrez a $6,000 scholarship. She plans on attending the Harlingen-based college upon graduating from high school in May, then anticipates enrolling at the University of Texas Rio Grande Valley to become a certified teacher.